This winter, stay comfortable and warm in the 2117 of Sweden Angesa ski/snowboard pants for men. The Angesa ski/snowboard pants are insulated with 10g of light insulation giving you a lightweight pant that is extremely comfortable. Designed with 10k waterproofing and Tritech windproof material along with taped seams will keep you warm and dry all day on the slopes. Two side pockets and one leg pocket provide you with room for your car keys, your pass, cellphone and more. Zippable bottoms make it easy to get these snow pants over your boots while snow gaiters help keep the snow out. 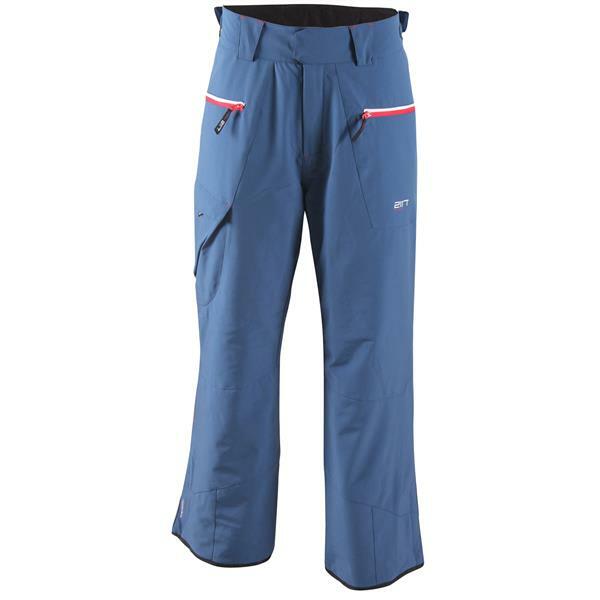 The Angesa ski pants have an adjustable waist to give you a perfect fit from day to day. These ski pants do generally run small, so if you are between sizes or unsure we recommend ordering a size up. This winter, stay warm and dry all day long on the slopes in the 2117 of Sweden Angesa ski pants for men. I got these on sale, and they are da bomb. Super soft and doesn’t make that “swish swish” sound when you walk! They also have a bit of stretch to them. I just received these pants and tried them on, they are super comfortable however they do seems a little tight in the inseam, I don't know if I should have gone a size up or if this is just the normal cut of the pants. Very nice ski pants for the price. Needed an XL for a 34 waist. Great experience with the house. The snow pants fit as expected. Very good experience with the house from start to finish. The extra stickers are awesome and greatly appreciated. Purchased these for doing outside activities when it is cold snowy/rainy out. I haven't had a chance to use in the rain yet, but they have performed flawlessly in the snow. Can't wait to try them on the boat for the early spring fishing season to see how they perform in the winds. What is the inseam measurement for the XlLand XXL? BEST ANSWER: If you haven't already, take a second to look at the Sizing & Fit link that is located between the 'Select a Size' and 'Select a Color' drop down menus. The sizing chart will help you select the size you need with your specific measurements. The inseam measurement for XXL is 33. BEST ANSWER: Very warm. This is a Swedish brand and made for cold Scandinavian ski conditions. I've used them in Vermont numerous times and my legs have been kept warm without the need for Long Johns. These pants are lightly insulated, so they should be warm enough if you have a base layer under neath in most conditions!